If you are a teacher or instructor of any kind, you have dealt with students missing the point, getting distracted, or simply not doing what they are supposed to do in class. 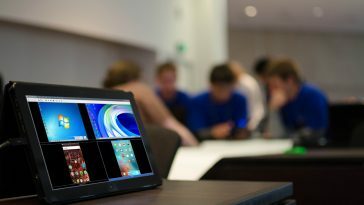 This is especially the case in a 2017 classroom where devices such as tablets or laptops are in each student’s hands. Here’s where classroom management solutions come in. 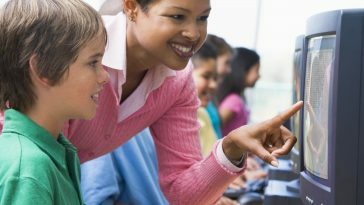 If you don’t already love them as a teacher, you’ll probably feel different when you see these 10 reasons why this particular solution is the best classroom management software out there for teachers. These are not only the rich features it has but the power it gives to teachers in a classroom environment. 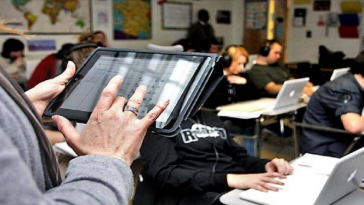 So, why a Classroom Management software for your class in the first place? Students can get very distracted even in a conventional classroom environment. Add to that mix a device that allows for internet access, browsing, apps, and more. 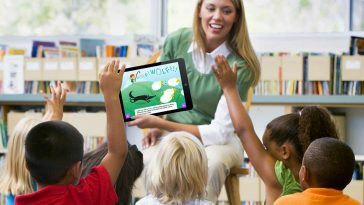 Mythware Classroom Management allows teachers to completely regain control. Control what they see, what they visit, what they open, and even literally take remote control of their mouse/keyboard and do anything on their machines. Most classroom management software out there have this feature. But, is it that easy to use as with Mythware Classroom Management? 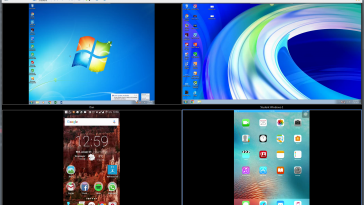 As soon as your students are automatically connected to your teacher console (just by being on the same network) you can see their screens and what they are doing. You can also enable Monitor & Control feature to actually see them on a grid-based screen and set up a slider time if you are looking for 60+ students at the time. So, as a teacher you will be able to quiz your students with a complete exam type paper including multiple choice questions, fill in the blanks, true or false, essay type questions and more. If you are looking to quickly test the class with one or two questions, use the Survey tool to deploy a quick question to the whole class and prepare it in seconds! Even with images! Response Competition in the other hand is a very unique feature to Mythware, where students are encouraged to compete among each others where the ones who are the “first to demo” or “first to answer” get starts above their avatar and acknowledged as the winners by their class. Classroom Management solutions out there have file transfer and receiving. However, with Mythware Classroom Management we have made sure to make this process pain-free for the teacher and so easy for the student, that there is no room for error. The process is enabled by the teacher when ready to accept files. The student then gets a pop up in their screen where they can simply add files to the window and then submit, thus sending the files. There’s no room for the student to mess around with other student’s directories, and what’s great also is that the file can come to the teacher with the student’s machine ID or their particular name. Monitoring is so easy most teachers leave it in automatic sliders where they can see everything from one monitor, even if they run a 30+ students class. Permissions also occur automatically once setup. This means that as a teacher, you don’t have to worry about the students visiting certain sites, opening certain applications or even downloading certain content into the machines. 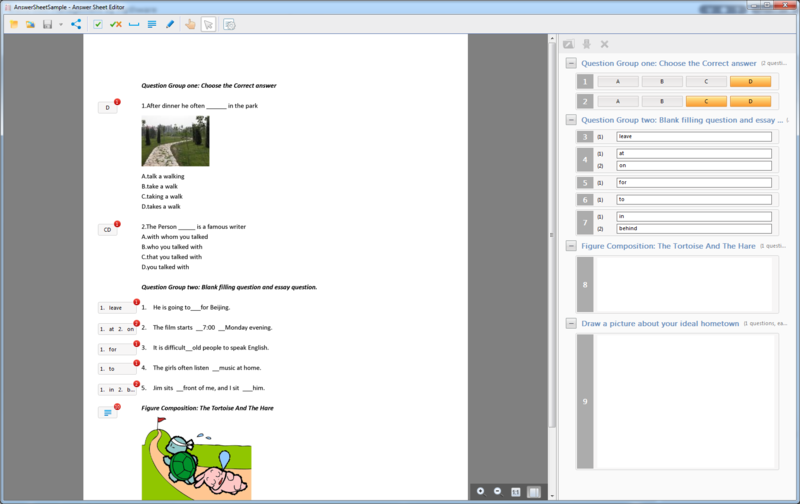 Mythware Classroom Management was designed with the teacher’s user experience in mind. The Teacher’s Console Dashboard is so easy to use and intuitive that no technical knowledge is required to perform any tasks in there towards the student machines. All main features are at the top of the dashboard where teachers can instantly enable them with a click. At the right sidebar of the screen teachers can find their chat messages, events and at the top right, the Quick Action buttons such as Silence / Silence OFF and more. All the while, always looking at their Seating Chart with students screens at their eye sight. Chat Feature: Chatting with students is nothing new. However, Mythware Classroom Management gives you the option to organize better how you talk to students and with whom are you talking to. For example, you can separate classes by Groups or Topics and at the same time, separate the chat windows based on those criteria. Chats can also be completely private with only one student and a teacher. For example when a student clicks on the “Raise Hand” button if they have a question and the teacher would like to converse with the student directly and privately. Yes, everything is remote. 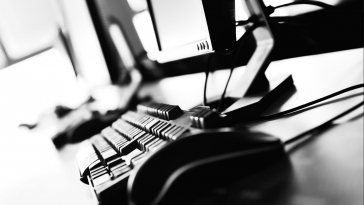 Enabling the Control feature gives you complete control of their mouse, keyboard, etc. As if that wasn’t enough, all remote features can be found at the top of your teacher’s dashboard. Things like remotely closing web pages, applications, shutting down the devices, turning them on, and a lot more. The Interactive Whiteboard is a fun one. Students and Teachers get to interact with each other and collaborate while learning geometry, arts, graphic design, and more. 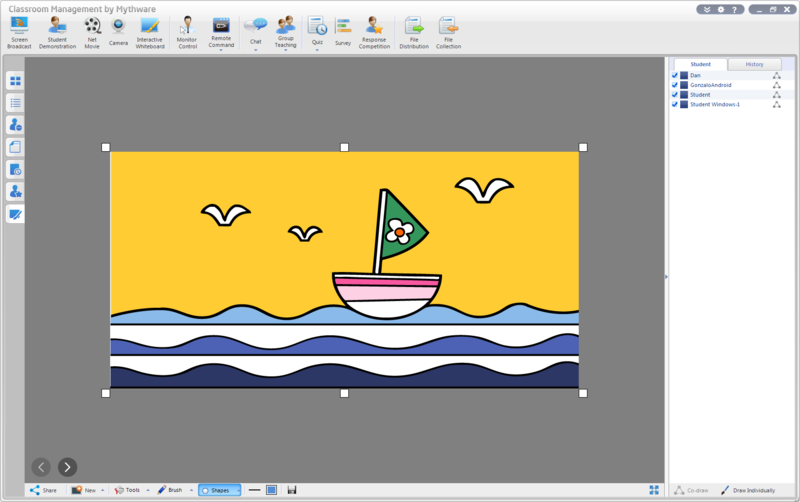 In the interactive whiteboard feature students can draw individually and work on their own, or collaborate and “Co-Draw” with the teacher while they correct their work, add to it, etc. Media is a powerful tool in any classroom. Whether it’d be videos, images, presentations, etc. Mythware Classroom Management allows the teacher to actually stream it in real time. 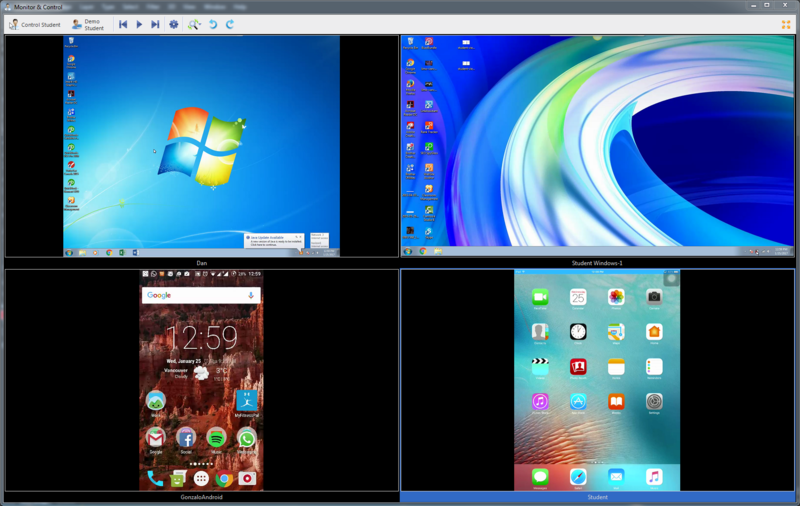 In comparison with other solutions, where you have to push the files, in Mythware Classroom Management you get to not only stream it in real time, but you also get to have complete control of the play button, fast forward, back, pause, etc. Previous article Planet TechEd officially releases a Mythware Language Lab Management Software, designed for Language Teaching.